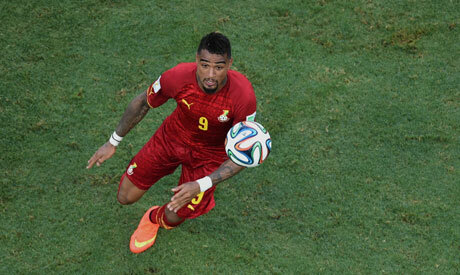 AC Milan will re-sign midfielder Kevin-Prince Boateng on a free transfer, chief executive Adriano Galliani said. The German-born Ghana international, who has also played for Hertha Berlin, Portsmouth and Tottenham Hotspur, joined Milan in 2010 before leaving for Germany's Schalke 04 three years later. Boateng has not played since he was released by Schalke in May for what the Bundesliga club said was a break down in trust between club and player. "On January 4 we will register Boateng's contract with the Lega Serie A and he will be available for selection," Galliani said in an interview with an Italy's Sky TV after Milan's 4-2 away win at Frosinone on Sunday. Galliani added that Spanish winger and former Liverpool player Suso will join Genoa on loan.